The campus is located in Satakunnankatu 23 in the centre of Pori. You can leave your bike outside the campus building in Satakunnankatu, Karjalankatu and next to the Travelling Centre. The campus is located next to the new Travelling Centre of Pori. It is easy to arrive by a local or long-distance bus. 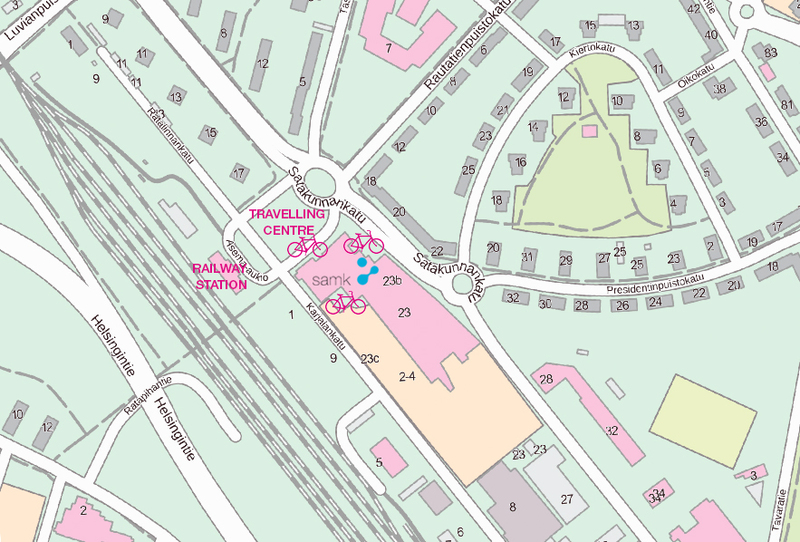 The campus is located by the route of inside City Traffic, which leaves from Satakunta Central Hospital and goes through the Travelling Centre and the market place to Puuvilla shopping centre. The ticket costs 1e. 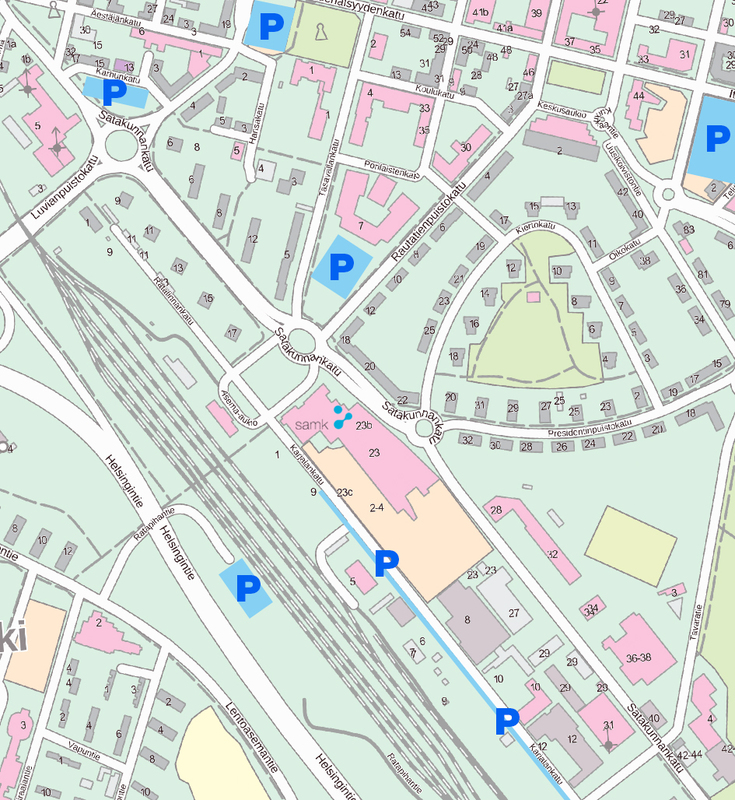 The railway station of Pori is located next to the campus in Pori and it is easy to arrive by train. You can leave your own car to the nearest parking places. In the car park next to the campus there are parking places for free parking of 2 hours by using a parking disc. The airport of Pori is located in Lentoasemantie, about 1,5 km by walking and about 2,5 km by car from the campus.